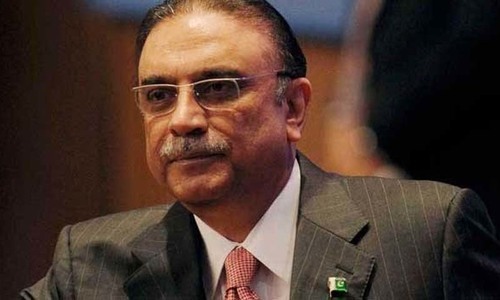 A banking court in Karachi on Friday issued non-bailable warrants of arrest against PPP co-chairman and former president Asif Ali Zardari in the fake bank accounts scam case, Radio Pakistan reported. The court also issued non-bailable arrest warrants against other absconding suspects, including Nasser Abdullah Lootah, Aslam Masood, Nimr Majeed, Arif Khan, Adnan Javed, Mohammad Umair, Mohammad Iqbal Arain, Azam Wazir Khan, Zain Malik and Mustafa Zulqernain. While hearing the case relating to the money laundering probe, the court directed authorities to arrest and present Zardari and other suspects before it by September 4. However, PPP spokesperson Farhatullah Babar issued a statement in which he quoted Zardari's counsel Farooq H. Naek as saying that no warrants against the former president have been issued. 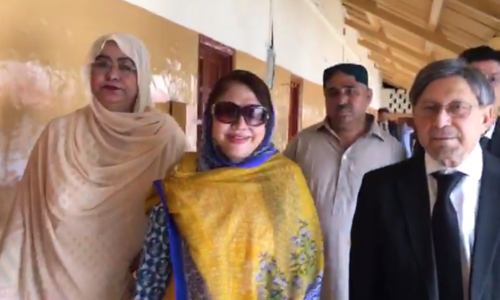 The Fede­ral Investigation Agency (FIA) had declared Zardari and his sister Faryal Talpur, along with 18 other suspects, as absconders in an interim charge sheet filed in the case. Talpur had, however, obtained a bail against her arrest. The fake accounts case revolves around a 2015 inquiry into suspicious transactions when 29 ‘benami’ accounts were identified, 16 of them in the Summit Bank, eight in the Sindh Bank and five in the United Bank Limited. Seven individuals were found involved in suspiciously transacting Rs35 billion. 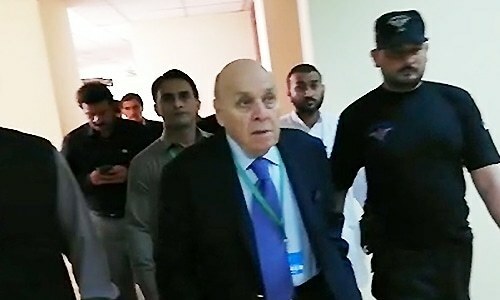 Hussain Lawai, former chairman of the Pakistan Stock Exchange and a close aide of Zardari, Omni Group of Companies chairman Khawaja Anvar Majeed and his son Ghani Majeed, and co-accused Taha Raza – head of the Summit Bank’s corporate unit – have been arrested in the case. The court extended the physical remand of Anvar and his son Ghani until August 24 after they were presented for the hearing by the FIA. The FIA prosecutor had sought a 14-day remand of the suspects for investigation, saying they are accused of laundering billions of rupees through fake bank accounts. Farooq H. Naek, the counsel representing Majeed, opposed the plea for remand. After hearing both sides, the court approved a week-long extension in the remand. Naek said it was Zardari's discretion to decide whether he wants to join the investigation or not, adding that the former president has "always faced the law". Zardari is ready to cooperate with the FIA, he said. why warrants against zardari ? He cooperated. He refused to support Shahbaz Shareef to help Imran Khan become the prime minister, and still he is wanted ? Who should we believe? Is there anyway to clarify whether or not the orders are issued? Bring anyone down who have shattered the dreams of millions of Pakistanis through corruption and theft of public funds. Stolen wealth of poor people of Pakistan must be brought back and all those involved should be behind bars. Here we go. Lets move forward when elected government is installed in the center and the provinces it is time to clean the temporary used files. Unfortunately AZ thought it would end with NS and despite long struggle of PPP AZ decided to stay silent but it was very short sighted. Arrest him immediately. "Rule of Law" should be the Order-of-the-Day. That is the only to progress as a nation. Is it a rocket science to know why PPP is backing off from supporting Shahbaz for PM of Pakistan? There is little sympathy for him. I say: stop topi dramas, and recover all looted money from all corrupt politicians and dishonest officials, no matter who they are. So that recovered money is spent for the welfare of the poor people - this is far more important than be on the news and ignoring important issues! It is about time this chapter should be summed up and concluded. Too little, too late because irreparable and irretrievable damages to the thin financial fabric of the Islamic Republic of Pakistan has already been effected by corrupt Zardari and his criminal and cunning cronies. Nothing will happen. PPP got a NRO long time ago. Sindh government given to them was a reward for their alliance with more powerful sources. Former President Asif Ali Zardari will be a free man in no time just like Rao Anwar and Ayyan Ali. Long live democracy in our country. Can we say, Nawaz in waiting for a companion ? Every time his name comes up in court proceedings, miraculously the case dissipates in the air. May Pakistan prevail! Pakistan Zindabad. All fruitless efforts. Nothing will happen to Zardari who is much stronger and beyond any law in Pakistan. Welcome to adiala jail, soon. One should also ask these corrupt billionaires "What is the definition of Corruption they adhere to ? " Bring all the looted wealth from Zardari. If he has done something wrong he should be behind jail, whether he support PTI or not. No one should be above law. No one should be spared. Every cent of stolen wealth is needed back in the national exchequer which has been exhausted due to loot and plundering. Pakistan Zindabaad. Zardari needs to make alliance with PML-N otherwise PPP will end up like PML-N. The establishment is pushing both parties to the wall. The only recourse for these parties is to make an alliance. Double the fun! The same day IK get's elected by new Parliament as the next PM, the former President, Mr. 10% is being sought by the courts..
What a country! I never thought I will live to see such a day. Bravo Pakistan. We are making progress. I bet, before this news even got printed, Mr. Zardari was already on a flight to Dubai or London. And that is the reason why PPP is not voting for Shahbaz now. once upon a time this cunning person said, "Ent se ent baja dunga". Now things have begun taking the expected sequence. But, don't know why this is perhaps not for the first time we, the masses, are happy. In the case of Mr. Zardari, his notoriety made us believe he would be in jail long ago, well before he even became the accidental President of Pakistan (what a sad moment in history). Now let's see if the authorities do act and arrest him and his partners in crime. After NS, he is the next in line to be admitted to a jail. Enough fussing over protocols and procedures. Time to face the music for your crimes and corruption against the nation, particularly poor people of Sindh, who have suffered for last 45 years. @RUMI One good dees does not / cannot erase a crime, it is not your falt for thinking other wise, you were born and brought in a culture and mindset in which reason, rational thinking, ethics, morals, civic redlines and rule of law has no palece. You don't think because you culture made sure that you don't you simply react with you emotions, desires, likes and dislikes. Sharif and Zardari are the biggest thieves known to have looted Pakistan!! One is Adiala Jail and the other one on his way IA!! 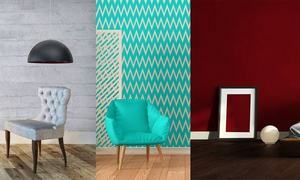 @duniya yes, you have a point! But IMRAN Khan is not going to pardon Zardari even he doesn’t support Shahbaz Sharif! @RUMI He has a case to answer. Don't mix up things. Pakistan must open cases against all top and rich people who have taken out massive money out of the country. So what's the big deal? If one hasn't been issued, than let's have the court issue one. Or simply clarify, confirm or deny the reports, before one has a chance to flee the jurisidiction. May be the warrants were sent to his residence in Nawab Shah. It will be some time before the lawyers get any wind about the same. Hard time for PPP and Sindh government. All those corrupt persons should be placed behind the bar, no simphity or pardon. We suffered as Nation and they enjoyed in the UK, Dubai. Where is the money of Pakistan, why a country like Pakistan has to beg IMF World Bank fo support? 200 Billion Dollars are there and we have to bow our heads just beause of 25 billion dollars, what a pity. They should remember one think, Pakistan was not made for corruption. It is a bless for all Pakistanis. His fate (and his sister) should not be any different than NS. He is a bigger crook than all crooks combined in Pakistan. PPPP should alienate him if they want to see any positive outcome in 2023 elections. Only a matter of time,. Not if, but when. Zardari's time in the gallows is coming. It took over 30 years to send arrest papers to Mr. 10%. I guess the wheels of justice move very slow or he stop greasing the right people. Keep politics away from judiciary. Let the courts decide. Ofcourse courts can order to respondent to deposit money back into exchequer, untill verdict announced. @Karachitee In theory law is equal for all. But, in the society some people are more than equal. Mr Zardari is one of those fortunate ones. @ RUMI - PTI never needed PPP vote for clear majority. By not participating in voting PPP doesn't any good or bad for anyone. Imran is PM now and Zardari played his role by not helping out Shahbaz Sharif. Zardari has not always faced the law, he has however faced jail. Zardari was suppose to show up for his court date, he didn’t, it’s in the book, to say he always faces the he law is a complete and utter lie. @Sab Se Pehle Pakistan Have they tie a loop around the MQM till now? I notice that you always skate over the doings of MQM. Perhaps, you think that since they helped poor Muhajir's with China cutting tactics they should be spared? @RUMI He cooperated to support Imran because of Uzair Baloch, rest of the cases he has to face.